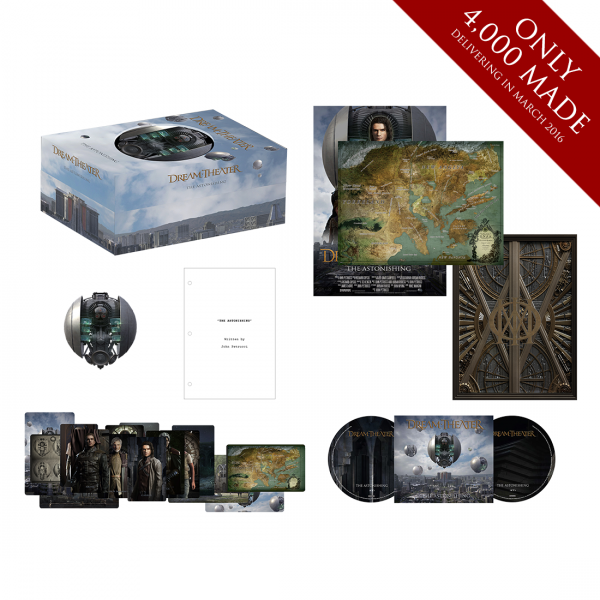 The Astonishing Limited Edition Deluxe Box Set here is a custom box that houses a collectible NOMAC replica, 4.2” in diameter, 3D printed. The Astonishing Lyric book in the form of a screenplay, 28” x 40” collectible poster. A double-sided 18” x 24” map of The Great Northern Empire of the Americas, set of 20 trading cards and 2-CD set.